The 2019 edition of the Cowbellpedia Secondary Schools Mathematics TV Quiz Show is now accepting registrations from schools wishing to participate. The show, which aims to awaken interest in mathematics among junior and senior secondary school students in Nigeria, is backed by powered-milk brand Cowbell. 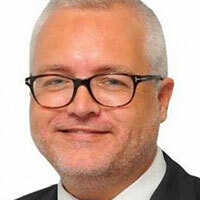 Anders Einarsson, MD of Cowbell parent Promasidor Nigeria, announced in Lagos that registration is now open. The competition is free to enter and is open to JSS 3 and SS2 students aged between 10 and 18 from both public and private schools across Nigeria. The competition will be in two stages and is scheduled to begin on February 9. Schools that wish to enter are expected to present 10 students each from the junior and senior secondary classes. The results will be announced in June, with the TV show beginning soon. Einarsson said: “Through Cowbellpedia, Cowbell has provided a platform to showcase and reward excellence in the subject area of Mathematics. In an attempt to increase girls’ interest in science, technology, engineering and mathematics (STEM), the organisers have made it compulsory for schools to select two female students for each category of the competition. The winner for this year’s edition will be awarded N2 million (US$5,500) and an all-expenses paid educational excursion outside the country. Second and third place will go home with N1.5million and N1 million respectively. 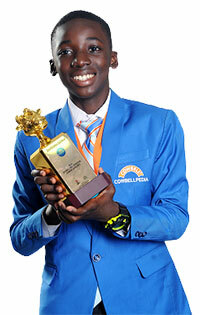 The Cowbellpedia Secondary Schools Mathematics TV Quiz Show will be broadcast on major TV stations across Nigeria. To register, click here.